Last week, Hillel Yaffe Medical Center held a one-day conference on continuity of care to mark the first anniversary of the opening of the initial well-baby clinic service at the hospital. Reminder: Hillel Yaffe was the first hospital in Israel to operate the initial well-baby clinic service in the Maternity Ward. This is the first time that a joint one-day conference between Hillel Yaffe Medical Center and the Hadera Health Office was held. 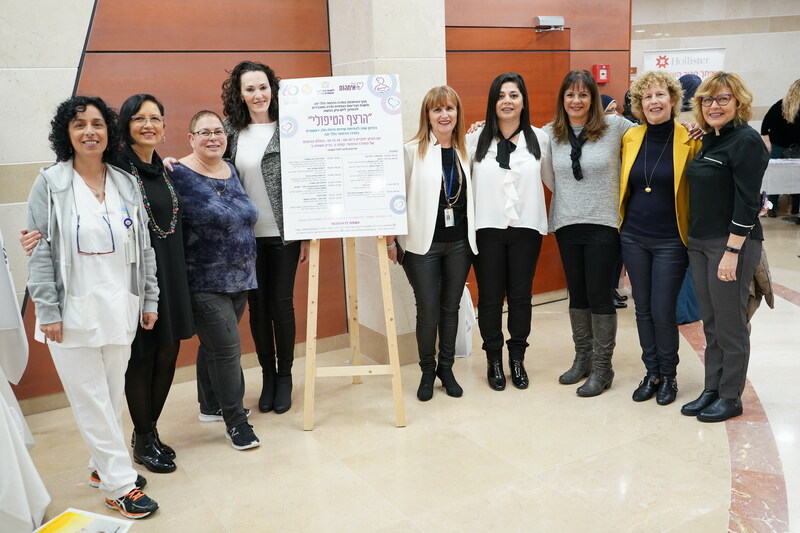 The day, which was organized by Ms. Orly Basis, Clinical Supervisor at Hillel Yaffe Medical Center, was dedicated to the importance of continuity of care for new mothers and infants. Dozens of participants, including physicians, supervisors, nurses from the Public Health Services, the hospital administration, Maternity Ward staff, were in attendance. Then, Dr. Ohad Hochman, Deputy Director of the medical center, thanked everyone who took part in leading the project and explained the complexity and difficulty in maintaining continuity of care in the public health service system. “The opening of a well-baby clinic in the Maternity Ward facilitates continuity of care in this regard. The mother is treated at the hospital from the pregnancy, delivery and afterwards, and the first meeting with the well-baby clinic inside the ward, is a natural progression, continuing the continuity of care for the new mother, providing her with knowledge and tools she needs, even when she is discharged home. Later in the day, a variety of lectures on diverse subjects were given, including the process of establishing the initial well-baby clinic at Hillel Yaffe, the Zero Separation project, which allows the new mother to remain with her baby from the time of birth through discharge, genetic testing during pregnancy, prevention of infections in the infants, important issues when discharging a preterm infant, and more.